This is a short introduction from some of Reading Families Forum’s dedicated parent and carer representatives. All of our parent and carer representatives have children with a disability. They have the same concerns as you, ranging from the first time you heard about your child’s disability to education, short break respite services, etc. My name is Ramona Bridgman. 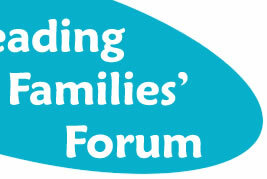 I have been the chair of Reading Families’ Forum since July 2013 taking over from Ruth Pearce. I have lived in Reading for over 30 years and have two children aged 10 and 12, one of whom has a disability. I am passionate about families helping to shape the services we receive for our children/young people and for our young people to have a say too. We are keen to hear from all Reading families with children with disabilities and or Special Education Need. Your experiences of services and ideas for future developments are so important for us to help ensure services meet the needs of Reading families. My name is Lynsey McDonald. and I live in Reading with my husband and three sons. My eldest son,aged 7, has Down's Syndrome and attends a mainstream primary school. I am keen to understand the implications of the Children's and Families Bill that comes into force this year and how it will impact on my son and other children across the Borough. By joining the Reading Families Forum I hope to be involved in shaping future services and aligning them to our children's needs. 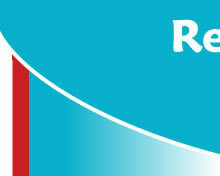 My name is Fran Morgan and I joined Reading Families' Forum in July 2013 as Parent Participation Co-ordinator. The main part of my role is to organise events, bringing parent carers together to help the Forum's aim in having a stronger voice. So look out for coffee mornings or seminars in the future, where you can meet others in a similar situation as yourself. I have two sons - one is a teenager on the autistic spectrum. I believe it is essential to build on the services that are available now to help families that have additional needs like ourselves. My name is Alice Carter and I am mum to two girls, one of whom has HSP, which is a genetic disorder causing progressive muscle problems. I have plenty of experience of navigating life with a wheelchair user and battling with the NHS, local authority and many organisations to improve care and services for my daughter and all disabled children. I care deeply about giving disabled children the best services available and ensuring they have all the opportunities that other children enjoy. 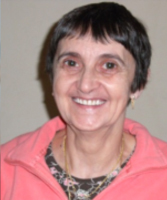 As a member of the parent steering group and a trustee of Reading Families’ Forum, I have worked with the council on the transition from Statements of Special Educational Need to Education, Health and Care Plans, and on improvements to the Short Breaks Service for disabled children. I am also a trustee of Peapods, the charity supporting families of physically disabled children in Berkshire. My name is Ruth Pearse and I live in Reading with my husband and three children. I am involved with Reading Families' Forum because of my experience as a parent of a young daughter with a learning disability and the journey that we have had as a family has had many challenges, not helped by lack of information and support. I feel passionate about representing families so that they are provided with information that will mean that they can find the right support when they need it. I represent parents through Reading Borough Council Learning Difficulties and Disabilities Strategy Group where decisions are made about the services that the local authority provides for families. I also run a charity called Parenting Special Children www.parentingspecialchildren.co.uk which provides parenting support for families in Berkshire through specialist parenting support programmes and a Diagnosis Support Service which offers emotional support and information when parents first receive a diagnosis for their child or young person. My name is Alison Ries and I have lived in the Reading area for over twenty years. The younger of my two children is a 17 year old boy with complex needs including autism, ADHD, severe dyspraxia and moderate learning difficulties. Because of this, I have had a lot of exposure to special education needs and disabilities on a personal level. As a parent volunteer I have much enjoyed being a school governor for many years, both as a Chair and having responsibilities for SEN and more recently I have become involved with the Reading Families' Forum in the work with families who have children with disabilities. As a parent volunteer I am also working with the Local Authority on the proposed changes to the transition into adult services and the personalisation of budgets. I am also a parent representative of the: Parent Partnership Service Management Group, Admissions Panel of the Avenue School, LDD/Short Breaks Panel and the Anti-Bullying Strategy Steering Group. Hi my name is Pauline Hamilton. My grandson Kyle lives in Reading with his mother, her partner and his new sibling. He is severely physically disabled with related learning, communication and health difficulties; he is totally dependent on others for all his needs. Since my grandson’s difficult entry into this world 15 years ago I, my husband and Kyle’s father and his family have all been involved in supporting him and my daughter. This has included legal battles, in addition to day to day care, but keeping him happy and his cheeky grin make it all worthwhile and have brought us closer as a family. Until recently I was also employed by RBC as an Early Years Advisory Teacher and Area Senco and have supported many families in the early stages of their child’s first entry into the world of education and care. I am now a member of the Reading Families’ Forum and continue to be on the committee of a local play scheme for children with special needs.